The day kicks off with pre-screened startups pitching to the entire congregation, like a mini demo day. No questions. We then break out into separate conference rooms for each startup. Each team will have 14 minutes with each founding team while judges observe and score the teams. After 14 minutes, the founders will quickly step out, and judges will have 3 minutes to ask the team questions. This is a good time to ask why the team did or did not do something or to give quick feedback as to how they might improve. We recommend you give each team a score to help remember the relative level of performance of each team. The notes and scores on the judging form are for you only. We will not collect or distribute judging forms. At the end of the day, you will simply vote for your top three teams (see vote below). Judges and startups have lunch together. Please take some time to provide feedback and advice for our startups. After lunch, we’ll ask the startups to leave, and the judges will discuss the startups (not the teams) to catch up on the due diligence sessions you were not able to observe. Judges will share how you might structure the deal if you were on a team and were required to submit a term sheet for one of the startups at this event. Each student team comes to “the boardroom” to pitch their deal to the judging panel. Teams will submit up to 5 pages of written deliverables: an investment summary + a term sheet summary (template provided). This session is intended to simulate a Monday morning investment committee meeting. There is no prescribed structure to the meeting. Generally, teams start explaining and judges start interrupting. 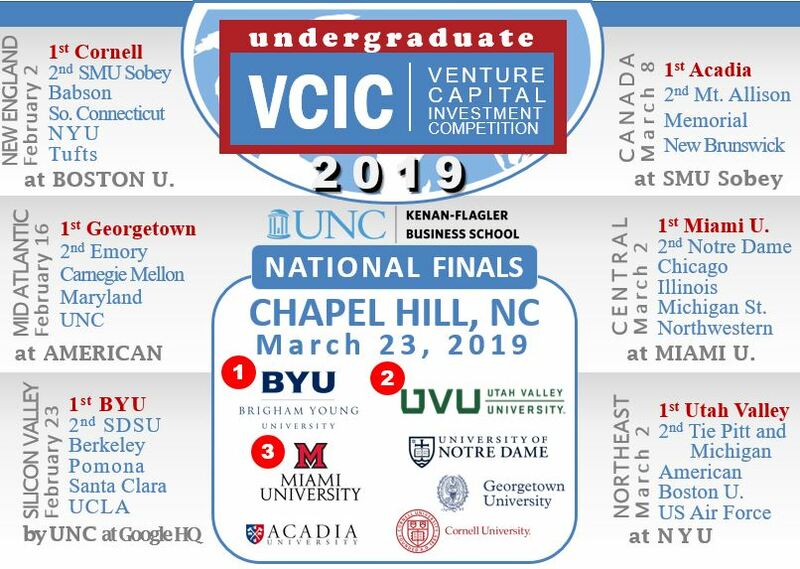 Go to www.vcic.org/vote to submit your top #1, #2 and #3 teams. Please do not discuss teams with other judges. We enforce a no deliberations policy so that we may more quickly get back to the students to give feedback. Students’ favorite part of the day is getting direct feedback from you. Please plan to stay to talk to as many teams as you can. Ideally, you’ll spend 5-10 minutes with each team.